Are you looking for Churches in Adelaide? Maybe your visiting Adelaide, Holidaying, A new Christian looking for a Church home, Curious about investigating the claims of Christianity further or maybe have been away from the Church for some time and would like to find a loving group of believers to fellowship with? No matter what your initial reasons we hope this page may be of great assistance to you. 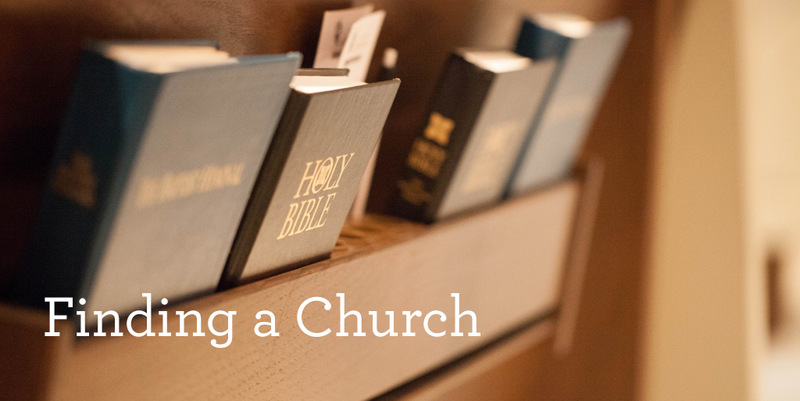 While in Adelaide or looking for a Church we trust that these short thoughts will help guide you on attending a Biblical Church that is Faithful to Loving Jesus and Modelling what a Biblical Church should look like. Here are 5 Things we think that you should think about before attending any Church in Adelaide. First, that it be a church. Historically,the Reformers argued that there are three distinguishing marks of the church—the Word, sacraments, and discipline. That means a campus ministry isn’t the church; Youtube videos and podcasts are not the church; a family sitting around the table is not the church. But it also means that those institutions claiming to be the church that lack these things are not the church. If a church refuses to teach Gods word and be accountable via the New Testament pattern of pastors, teachers, elders etc (Eph 4:11), regularly administer the Lords table, Baptize Believers and exercise discipline, ie; excommunicating the unrepentant person guilty of gross and heinous sins, it’s not a church. It could simply be a group of confessing believers who gather together but it is not the Church as God has revealed it to be in the New Testament. We must also be aware that believers did meet from house to house but this was predominantly due to the church being persecuted. Beyond the initial era of persecution they have public gatherings on the first day of the week, containing identifiable members and formed sizable assemblies in Jerusalem, Antioch and established congregations throughout Asia Minor and beyond. Second, that it be a body marked by repentant believers who recognise their need of a Saviour. (James 5:16) If the marks of the church define its structure, repentance defines its heart. We are a people in need of God’s grace in Christ. We are not those who successfully find our way to God of our own doing and accord, but rather, those whom He has rescued, those He continues to rescue. If sin is seen as something behind us, not a continuing struggle, we’re missing it. (Hebrews 12:4) A local church should be a group of men, women, and children acutely aware of their failures and weaknesses and looking to a God who keeps them until the end. Third, that it be a body with a passion for those yet outside the kingdom. Too often when we are rescued, when the gates of paradise open for us, we are content to close the door. The world is seen merely as either dangerous or something we should no longer engage with, this is not the case. (John 17:15-16) Those in the true church have a genuine compassion and concern for all outside of Christs Kingdom, that they hear the gospel (good news of salvation in Christ Jesus) and that all believers were once lost and without hope in the world too. They remember their rescue and so ought be eager to see others rescued. If Christians aren’t telling others where to find hope in the Gospel, we show that we think ourselves the master of the feast rather than undeserving guests. This doesn’t mean, of course, that we design our worship services for those outside of the Church but it must be welcoming of all who are searching for truth about the welfare of their eternal souls and greeted by the Church as such. If you find this list disheartening, if you feel there is no such body of believers near you, get to work. A good church is less something you happen to conveniently find near you and more something you seek out and find with diligence and discernment, playing a vital part yourself.